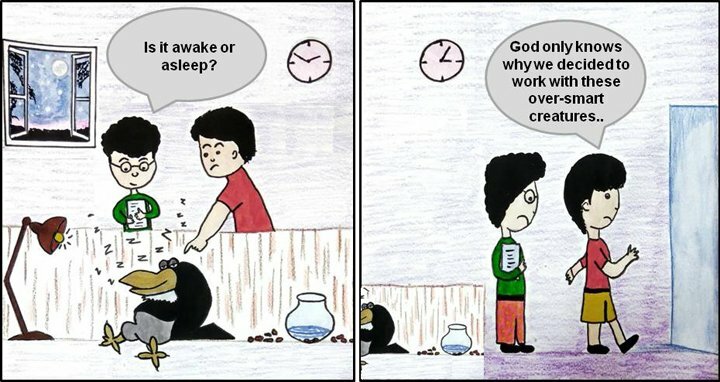 Remember the crow that taught us ‘Where there’s a will, there’s a way?’ It went on to build a promising research career studying circadian rhythms with a part-time job preaching life’s little lessons. Decades later, it is back with a new story and a new moral on how to get a good night’s sleep. A team of researchers led by Vinod Kumar at the IndoUS Center for Biological Timing, University of Delhi recently discovered that exposure to artificial light during night disrupts the biological clock ticking inside us. This, in turn, adversely impacts the brain region involved in cognition and mood, resulting in reduced sleep and increased risk for mood disorders. The human brain is programmed to be active during the day and to rest during the dark hours. This 24-hour internal biological clock, also called the circadian rhythm, determines our sleep/wake cycle. When it is dark at night, the brain receives a signal to release melatonin. This makes our body feel tired and coaxes it into sleep. Artificial light at night disrupts the circadian rhythm by altering melatonin levels, thereby influencing sound sleep, and consequently our mental and physical well-being. To understand behavioural alterations caused by artificial illumination at night, the researchers used adult Indian crows as a model system. These birds have remarkable cognitive abilities at par with mammals and are diurnal creatures that rely on visual and auditory cues, much like humans. The scientists exposed the crows to dim light at night and found that it significantly reduced the daily rest period of the crows. This seemed to affect the crows’ mood as well, as they reduced their food intake and spent less time grooming themselves. Interestingly, this behaviour was reversible. When dark nights were restored, the crows resumed normal eating and self-grooming behaviours. “Working with a non-model wild species was challenging,” says Taufique. “It demanded a standardisation of all behavioural patterns and measures to study the effects on sleep behaviour and mood,” adds Abhilash Prabhat, an author on the study. When the team investigated the plasma melatonin levels of the crows that experienced illumination at night, they found that melatonin levels at night had dropped down to near daytime levels. At the cellular level, they found that exposure to light at night suppressed new neuron formation and compromised neuronal health in the hippocampus, the brain region involved in learning and mood. The genes associated with depressive-like responses were also observed to be negatively influenced. In addition, the researchers found transcriptional and epigenetic changes that may underlie the night-time illumination-induced negative effects in crows. Artificial light at night has rapidly transformed the 24-hour day-night cycle. While the sight of a beautifully lit up city at night may be aesthetically pleasing, the associated health consequences are far from being so. Reports have linked excessive and repeated night time light exposure with sleep disorders, obesity, diabetes, depression, bipolar disorder, and cancer. 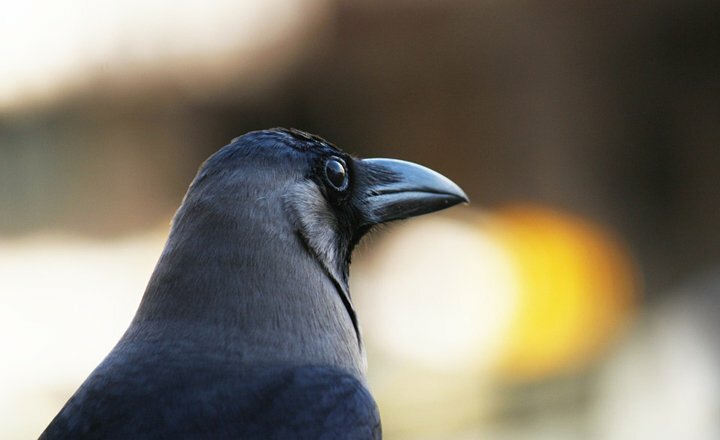 “The value of this study lies in significant behavioural dysregulation noted in crows, a species with which humans share urban ecosystems,” says Aurnab Ghose, Associate Professor, Indian Institute of Science Education and Research (IISER), Pune, who was not associated with this study. It is important to understand how biological clocks work and keep time. Light in particular is an important synchroniser for these clocks, and has been shown to be effective in the treatment of circadian rhythm disorders. Our very own crow has spent many sleepless nights to uncover the risks to diurnal animals and humans living in an overly lighted urban ecosystem. “Studies like this, therefore, become important at the level of understanding animal physiology and awareness of ecological consequences of human activities and choices. The richness and diversity of such studies is something that makes possibilities of interventions more plausible,” says Ghose.